Across North America and elsewhere in the world, Housing First is recognized as an effective and humane approach to addressing homelessness. The need for a consideration of how Housing First works for young people (aged 13-25) is based on concerns raised by policy-makers, practitioners and indeed, young persons themselves, about the applicability of models and approaches developed for adults who are homeless, when applied to a youthful population. The framework presented here is intended to provide communities and funders with a clear understanding of what Housing First is, and how it can work to support young people who experience, or are at risk of, homelessness. It is the outcome of a collaborative process involving the Street Youth Planning Collaborative (Hamilton) and the National Learning Community on Youth Homelessness. 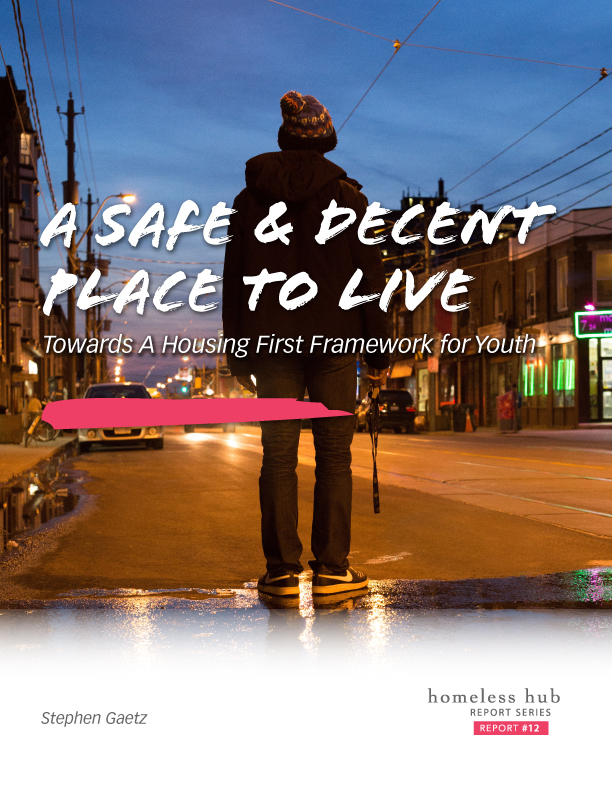 The framework reflects a belief that for young people the experience of homelessness – both in terms of its causes and conditions - is distinct from that which impacts adults, and therefore the solutions must reflect these important differences. We cannot take an established approach that works for adults and simply create Housing First “Junior” by changing the age mandate. If Housing First is to work for youth, it must be built upon our understanding of the developmental, social and legal needs of young persons.